Fall is the season of changing leaves, cuffing, and all things pumpkins. 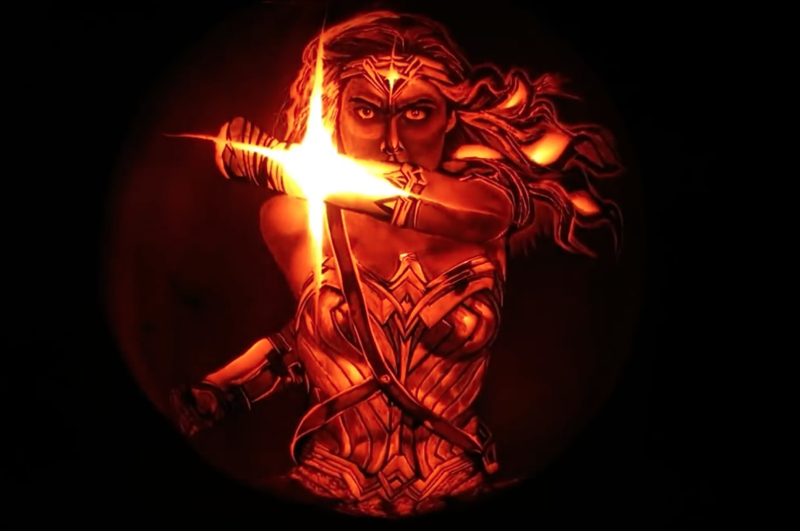 Speaking of pumpkins, right now, we’re kind of obsessed with pumpkins crafts, and this intricate pumpkin carving of Wonder Woman is providing all kinds of inspiration. Forget the same ol’ semi-creepy Jack-o’-lanterns this year. 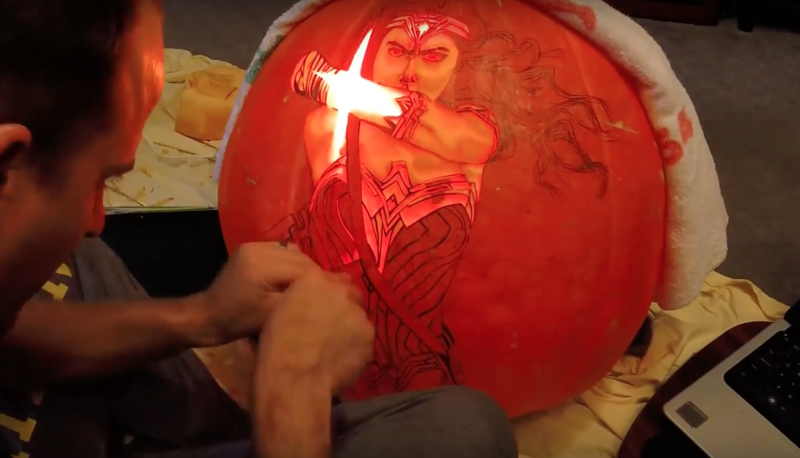 The creative force behind this masterpiece is Andy Manoloff, who regularly shares videos of his crafting projects on YouTube. Most of which are inspired by pop culture like, his working replica of Spider-Man villain Doc Ock’s tentacles and the detonator Baby Groot runs away with in Guardians of the Galaxy 2. 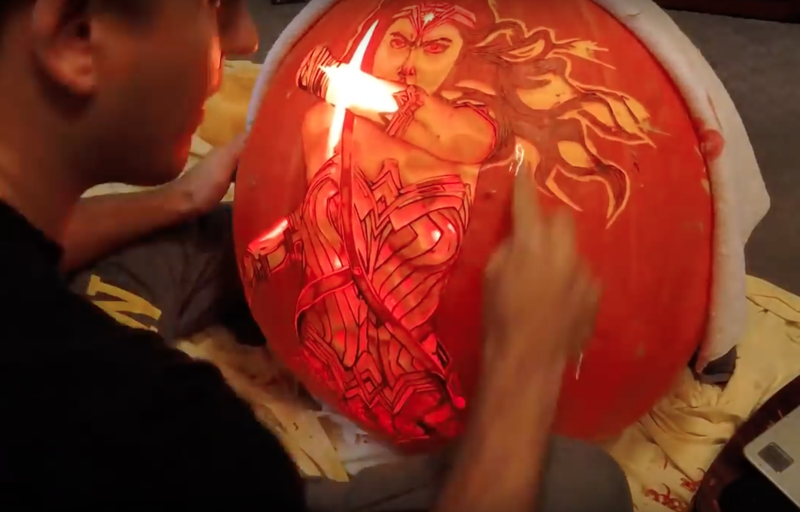 His latest project is also inspired by a popular superhero flicks: Andy carved the most mind-blowingly detailed Wonder Woman design. And then Andy gets to work. 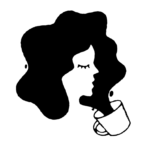 Line after line, stroke after stroke, the design starts to take shape, and we start to see a very familiar face. But it’s not until he gets to Diana’s Bracelets of Submission that the design literally starts to glow. 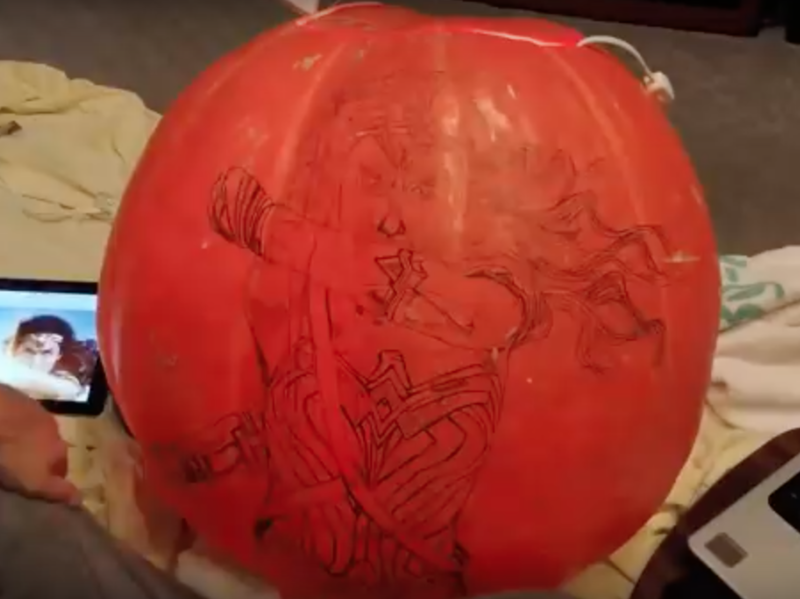 Andy then focuses on Wonder Woman’s outfit before carving out her long, flowing pumpkin locks. And the final product is far beyond anything we could have imagined! Coming in a close second for our favorite Andy Manoloff creation is this Dog-O-Lantern of Andy’s adorable pomeranian pup. We know these pumpkin pieces have set the bar pretty high, but the most important thing is to have fun with it. Grab your own pumpkins and get to carving!